Tell us about your role and how you got here? What galvanized you to start Glispa? Today I’m the CEO of Glispa. My story starts four and a half years ago when I joined as VP Strategy to lead the company’s transition from an affiliate to an ad tech company. Part of my role was to lead our acquisitions, in the course we acquired Avocarrot, RelevantTech, and justAd. I also focused on driving our global expansion and therefore opened an office in Tel Aviv. Starting out alone in Tel Aviv, I built a team of around 40 people in 2017. From a client perspective, global expansion involved increasing our international operations. Today, we are running campaigns in almost every country in the world. From that, I was appointed CEO to lead the full transition from an affiliate to ad tech at a product level, by shifting our strategy from acquiring to building new solutions. Furthermore, we improved Glispa’s brand and positioning with a huge rebranding effort, and also built the right teams to implement our strategy. We hired a lot of key people and aligned our go-to-market strategy with the biggest opportunities in the market and to match the demands of our clients and partners. We ultimately connected the product, brand and people to implement our strategy. How is the mobile ad tech industry different from when you first started? As one of the early adopters of mobile, I saw the industry changing dramatically in the past decade. From the early days, when developers didn’t really have many opportunities to monetize, acquire users, and utilize data (for the better or worse), we moved to a period in which the benchmarks of the product are becoming much higher, companies are investing in creative and building excellent applications. In the last decade, we saw great companies like Waze, Moovit, and Playtika emerging. An array of promising technologies has sophisticated the mobile ecosystem that became a very fragmented industry. To a large extent, Glispa’s strategy is based on aiming to control more components from that value chain to provide more value for the clients. Tell us about your ‘Ideal Customer’ profile? For me, the ideal customer is a big brand which I’m helping to enter the mobile world. Numerous amazing brands spend vast amounts of money for achieving a very strong presence in the digital world. From the mobile perspective, however, they are far away from maximizing their opportunities. Helping brands and app developers build a mobile strategy for reaching the right audiences is very exciting. 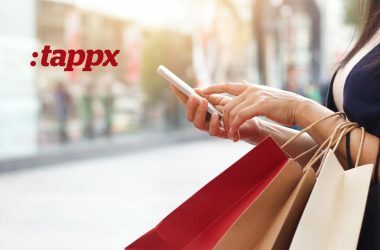 What’s so unique about mobile as a platform is that there is a very high level of engagement because smartphones are popular, with people checking their phones around 150 times a day, spending more than three hours a day inside applications. In enabling customers to leverage the mobile space, we’re part of something bigger, a mobile revolution. What is the current state of Mobile Marketing engagement in 2018? How much of that state is influenced by the maturity of data science and customer experience platforms? Mobile marketing engagement undoubtedly grows in 2018 with people relying on and appreciating mobile even more. We can observe this trend in various ways: from the number of hours a day people spend on their smartphone to the number of applications they have. In parallel to the improving products, people gain more value from them and use them more often. Whereas data science is still in its early beginnings for maximizing mobile engagement. With mobile measurement completely differing from desktop, we’re just now starting to work with sufficient technologies that are highly useful from a data perspective of mobile. Particularly, location data gains importance, which we haven’t really utilized enough yet. I expect this to become a significant factor for mobile marketing engagement in the next five years. Having mentioned utilizing location data, it is crucial to elaborate on GDPR, which is going affect how we utilize data in a very positive way. It enables us to keep people’s personal data private while still using it in legitimate ways to create value. That is a big thing to look at already in 2018 and 2019. How do you see the mobile marketing strategies evolving around omnichannel analytics? What factors should marketers consider to launch a mobile website? To understand the context of omnichannel, we first need to look back at the progression of mobile. 2017 was the year of promising, new technologies that started to bring value in the mobile space, although still in a very fragmented way. I believe 2018 and 2019 will be the two years mobile is starting to consolidate as a standalone. Only after, we can start connecting other platforms to it like Smart TV, augmented reality or physical stores. When launching a new website, companies find themselves surrounded by of a lot of noise, with millions of websites and apps, and innumerable opportunities. We’ve come to the understanding that is important to first and foremost deliver a great user experience (UX). While this has improved in the course of the years, companies still have a long way to go. In managing a great website or app UX, they will eventually be the kings in deciding which products and technologies customers will be using. Websites are a great example for making the case for UX, since they always define B2C relationship, being directly tailored for people. If a company overemphasizes the monetization aspect in their website, it will harm the UX, and fail to bring real value for the customer and eventually the company. Tell us about the new standards of B2B mobile ad tech. How does Glispa help customers optimize user insights for better mobile marketing campaigns? For mobile ad tech companies – naturally B2B oriented – there is no way around opening themselves up for a B2C approach because the end user is eventually the decision maker about trending technologies. Even if your client is the advertiser, the big brand, UX is paramount, as brands prioritize the needs of their client, the end user. Therefore, part of our strategy at Glispa is to identify how we as a B2B company can bring value to the end user. That’s why, we recently acquired justAd, a company touching the end user directly by creating engaging mobile ad formats. Of course, there is more to that. Really good targeting is essential for aligning people with the content they want to consume. Today, no one is accepting ad experiences that aren’t good. People are blind to ads that are not entertaining and not to the point and don’t convey which aspect of the product the ad is trying to advertise. Automation is definitely a big topic today in the industry, and we’re dealing with it various ways. People tend to forget that programmatic is first and foremost an automation tool. In the past few years, programmatic has become the most popular ad format. Not only did it create a buzz, it actually increased ad revenue. To be part of the programmatic revolution, our strategy at Glispa included acquiring Avocarrot, a programmatic ad exchange, which comes with a more automated process and less manual work. Furthermore, automatic is related to personalization. How to run a successful email marketing campaign these days without highly personalizing it with the help of automatic services like Hubspot? Applying automation is part of being a high tech company, it’s part of increasing efficiency. My definition of a high tech company is a company that minimizes the amount of jobs people in the company do that are embarrassing for the cognitive part of the brain. The world is moving towards a future of machines replacing people in manual tasks, where they outperform people, while we benefit from shifting our focus on solving cognitively challenging tasks. That is actually automation. As an ad tech enthusiast, I’m excited about innovation and new technologies in this area. I’m paying a lot of attention to augmented reality (AR) and virtual reality (VR). I believe that’s going to be a very important platform down the road. Mobile is doing a good job in building the best applications with the current technologies out there. The next big thing in mobile is AR. I predict that in two or three years, 80% of the smartphones will have augmented reality capabilities. There will be a wealth of new applications improving the mobile experience via augmented reality technologies. Magic Leap is a noticeable company pioneering in mixed reality (MR) rather than augmented reality. Mixed reality enables a real interaction with physical elements and virtual pixels in the space. Magic Leap might leave the biggest impact in this field in the next few years. With AI out there as a buzzword for many years, we’re just now starting to understand what it means and how it can impact our business. Sure, AI is also still in its early days. However, if your company wants to utilize data in a better way, to become more of a high tech company, and to push the limits of what technology can do for maximizing value for clients, AI should definitely be part of the mobile marketing mix. How do you inspire your people to work with technology at Glispa? Glispa’s vision is about challenging and improving the mobile ecosystem via innovation, and innovation starts from connecting technology with opportunities. A lot of what we do at Glispa originates from this approach. We recognize opportunities in the market, and actively build solutions around them – be it in-house or via an acquisition. We see a lot of innovation opportunities from connecting our four products. Coupling Glispa Discover, a monetization solution for operators and carriers, with Glispa Connect, a programmatic exchange, we could bring programmatic to the operator’s and carrier’s business for the first time in the advertising world. At Glispa, we’re trying to hire smart people who challenge everything they do. I see them getting really excited and motivated about changing the status quo, and bring innovation to the market. Technology is the base for all of that. All my life centers around technology and multiple apps navigate me through different moments. For someone who is flying a lot, Netflix really improved my life. In making it easier for me to manage a global company with people from different countries with different offices, Slack really brought a lot of value. I read that Jeff Bezos, CEO of Amazon, starts each meeting with 30 seconds of complete silence, with no one in the room speaking, which is supposed to lead to better productivity. I actually tried to implement that into our company, and it didn’t really improve our productivity. What really works for us: we’re trying to stay a startup, even though Glispa is becoming a much bigger company in terms of the number of offices, employees, and products we have. Part of being a startup is trying to avoiding bureaucracy and practices of big corporations, just by having our meetings very direct and to the point, for instance. I believe we’re more productive that way. To start with the second part of the question, today we have access to information in a great number of ways: be it by reading, watching movies, attending lectures, having conversations in chats, checking social feeds, researching, Google. While we have overcome the limitations of accessing content, the challenge now becomes finding the needle in the haystack in terms of valuable information, since the filters are missing. Reading about ad tech exemplifies where this is leading to. The information you get from all the channels is very different from what’s actually going on. Most of what books, online content and talks at conferences tell us is inaccurate. Even more information becomes irrelevant when data is not updated as quickly as technology is changing our life, which creates a gap. On a higher level, I just recently read a book Daniel Kahneman, “Thinking, fast and slow”, revolving around the way our brain is structured in terms of thinking, decision making, and instincts. Exploring the big gap between how we think our brain works vs. how it really works, how people make irrational decisions on a daily basis without really knowing it’s irrational, that’s a field I’m really passionate about beyond technology. Jeff Bezos, the CEO of Amazon. Amazon didn’t start out as an ad tech company, but if I needed to bet on who is going to be the biggest mover in ad tech, I would definitely mention Amazon. The company is in a very interesting position from an ecommerce perspective, and ad tech, as I see it, leads the way for ecommerce, and is ultimately tied to it. Amazon has a vast amount of data, and their activities around Alexa, search, audio, and AI, are fascinating, and I would be very keen to hear his wisdom around the conversation we had today. Thank you Itamar! That was fun and hope to see you back on MarTech Series soon. Itamar Benedy is the CEO of Glispa, a mobile ad tech player with 10+ years in the mobile marketing industry. 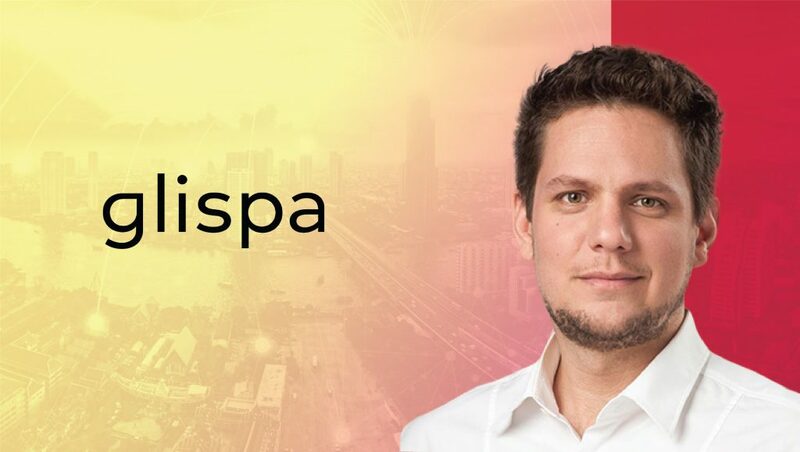 Formerly serving as the CRO and VP of Strategy, Itamar is currently leading the transformation of Glispa from an affiliate company to a sophisticated ad tech company. In just two years, Glispa has had five strategic acquisitions and has integrated these innovative products onto a single platform. Itamar has also lead the massive rebranding efforts, bringing all these products under the Glispa brand. 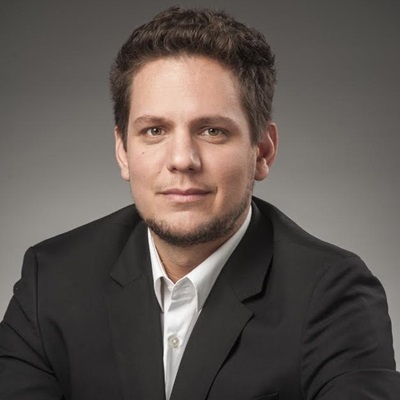 Prior to Glispa, Itamar served as the VP Marketing at Sport.com and Yoga.com, leading the user acquisition, monetization, and analytics teams. With more than a decade of experience in mobile & app marketing, Itamar guided Sport.com to become a market-leading fitness company with over 40 million downloads across 30 native apps. Itamar was selected for the prestigious Forbes 30 under 30 for Israel, and currently resides in Berlin. Glispa is a mobile ad tech company. 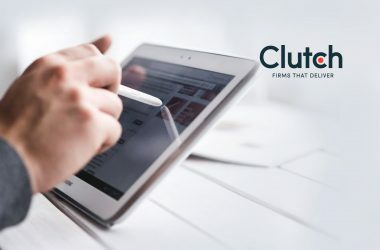 We are dedicated to empowering our partners with sophisticated solutions that make it simple for agencies and brands to connect with target audiences and for publishers to monetize their apps. Our product suite is tailored to design a more valuable experience for the user by creating real connections. This approach, combined with our deep understanding of the industry, provides our partners with the best set of tools to make mobile ad tech simple. With a decade in the advertising industry, Glispa employs a diverse team of 50 nationalities speaking over 45 languages. Operating across 8 international offices, we combine an experienced global workforce with local market expertise. To learn more, visit glispa.com and follow us on social @glispa.